I stop and slowly, anxiously, look behind me. Nothing. The darkened passageway is empty. I'm alone. I relax my grip on the controller, letting my finger slide off the shoulder button, my view swinging back forward. This is Hellnight. 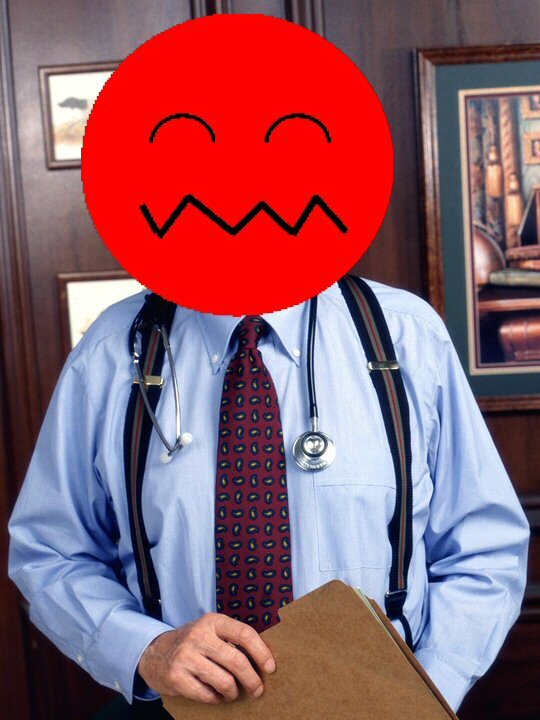 This is every playthrough of Hellnight. 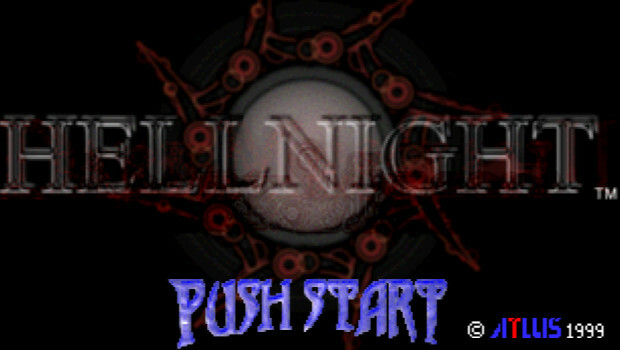 Of all the games I had to pick up and play, I chose Hellnight. A game designed to torment, to dangle the prospect of freedom before me repeatedly, before wrenching it from me at the very last second. Escape is always only a few steps ahead, a stairway out, an elevator up, but over and over again obstacles are put in your way, and your progress is pushed back, forcing you deeper and deeper underground. All the while chased by that thing, as you desperately try to figure out why you're involved in all this, and how you can escape. 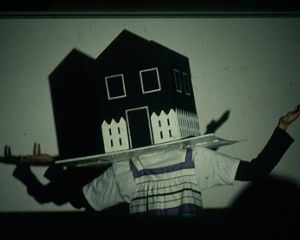 As games go Hellnight is pretty interesting, and also relatively unique, forcing the player to rely on their wits over brawn (which even when you have it is relatively useless); it's also somewhat unknown outside of survival-horror gaming circles, and should never be confused with the film starring Linda Blair ever, ever. 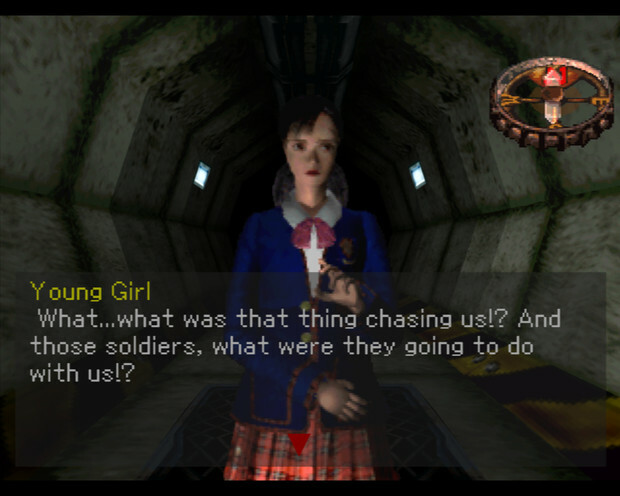 Released back in 1998/1999 for the Playstation by Atlus, it's a survival-horror, puzzle game where you play the part of an anonymous male lead, who after the subway train he's on is freakishly derailed by some unknown creature, finds his only escape is to head deeper underground with the only other survivor of the crash, into the network of tunnels and passageways that lie hidden beneath modern Toyko, in a desperate attempt to escape their pursuer. You spend much of that time creeping round corridors, desperate not to run into the creature. Aside from a few niggling problems (hello sloppy translation!) 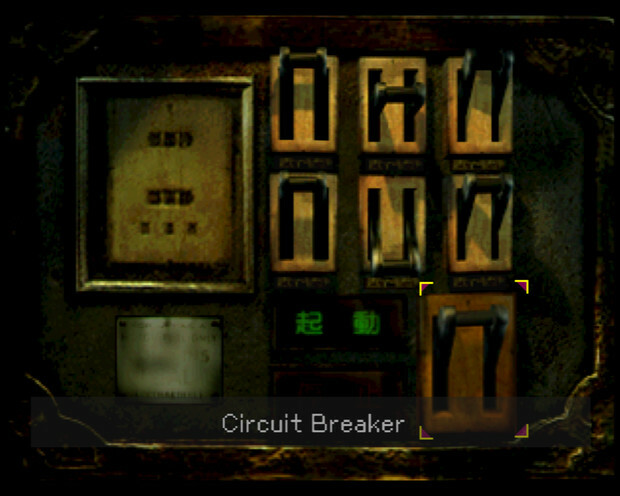 it's probably one of the most unique experiences I've had in a survival horror game; while what exactly it is the game manages to capture so well remains difficult to pin down exactly. Is it the sound? The visuals? The atmosphere? Maybe a little of all of the above. It's not a difficult game to explain, just difficult to effectively convey just how terrifying an experience it can be at times. It's not even like the game is complicated, you don't have to push ten different buttons at once, you don't have to worry about micromanaging ammo or even supplies - there are none! Yet when it works, when you're in the moment, it's possibly one of the scariest games you'll ever play. It's scary simply because of how helpless and weak you really are in it, one touch is all it takes to kill, and you'll never really know how long you've got between encounters with the creature, you just know you have to push on and hope it doesn't show. Because you are the prey. And out there, somewhere, is a creature whose sole intent is to hunt you down and kill you. 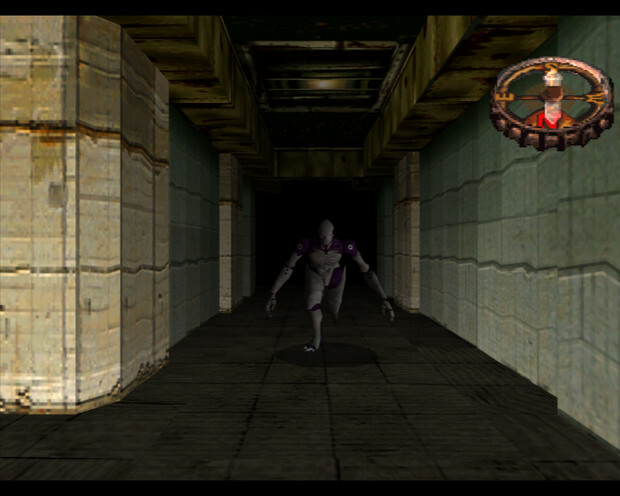 If you remember what it was like to be hunted by Nemesis in Resident Evil 3, then you're getting close to how it feels, but not quite. Nemesis had limits to where he could go, and you had guns. Here, the only sanctuary you have is the odd room or branching corridor, out in the open it can get you anywhere. And as the game progresses the threat from the creature increases, as it itself evolves into more and more deadlier forms. You spend much of the game either exploring, collecting or figuring out the pieces to the puzzles that let you move ahead or running from the creature, slipping into rooms to hide and hoping that when you leave again it'll be gone. 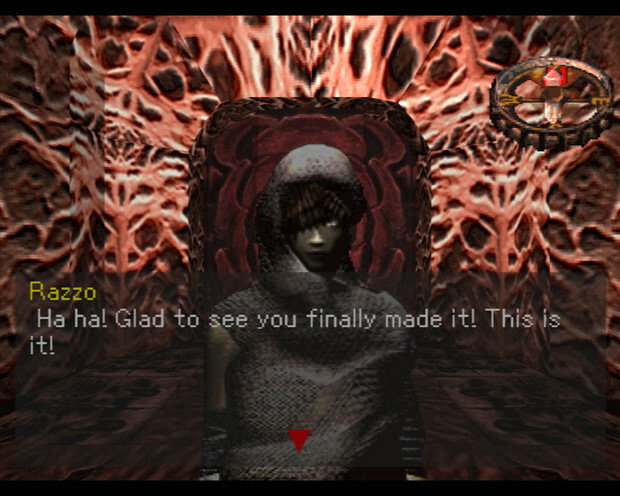 When it came to deciding what I wanted to write about for this blog I had a few thoughts - I've had my fair share of scares with the Fatal Frame series, the Siren games, System Shock 2, REmake, and even Dead Space, but my experiences with Hellnight stood out. It stood out because in all those other games I was at one point or another in control, I was powerful, even if momentarily, I had the upperhand, but I never do with Hellnight. All you can ever do is slow the creature, never stop it. You will always be running. One of the most vivid memories I have of playing the game is from about midway through, when you find yourself in a sort of livestock area - a large open space that's been converted to house animals, with a series of small sheds and pens, all orderly arranged along a grid system, but equating to little more than an open maze for me. I knew it was coming. I hadn't heard it, or seen it, but I knew it was somewhere out there in the darkness; I hadn't seen it for a long time, so I knew I was due a visit. So I was being careful: cautiously moving forward, never moving too quickly, lest I use up the stamina I might need in a tight squeeze. I felt ready, ready enough atleast. I had to search the sheds, one by one, explore every inch of the map. I had to escape but I didn't really know what I needed to escape. I'd left the shed behind me, having found nothing - most of them were empty, and I found myself absently turning and walking to the next shed, glancing over my shoulder, expecting it to come from behind me. Only to let go the shoulder button and hear the creature roar ahead of me. I found myself caught between pens as I desperately scrabbled to turn and run, to get out of there. To somehow escape back into the dark unseen. Hellnight is the sort of game that would never have won awards for best graphics, or most bombastic, energetic, singleplayer experience � even at the time, but it does something with its atmosphere, the sights, sounds, and gameplay, that most games never do. And that's without even getting onto the story, which though obscured by the poor translation hides a number of subtle nods to some classic Sci-Fi movies. I remember Hellnight most though for those moments: those slow, silent pauses between the monster popping up (and it does literally seem to just 'pop' up); the ones when I'd run and hide, and find a piece of a puzzle; and those other moments when I'd leave a room, confident that I was safe only to find the creature right in front of me. Because those moments, those are the ones that real horror stories are made of.